A reliable solution to convert EDB to PST file including emails, contacts, and all other items. The tool extract Exchange mailbox to PST that can be accessed with all MS Outlook editions even if the Exchange server is not available. Scan, preview and convert emails, contacts, calendars, tasks, etc. Mail filter creates PST from OST file with a selected date range of emails. EDB Converter supports all the versions of Exchange Server including 2016, 2010, 2007, 2003. Supports Outlook 2016, 2010, 2007, 2003. The OST to PST converter software offers dual (Quick and Advance) scanning options to migrate corrupted OST file. Quick scan mode can be used in minor corruptions since Advance mode allows recovering data from severe corruption cases. After scanning, the software shows a complete preview of entire data, including emails, contacts, tasks, journals, notes, and calendars, etc. So that you can view and select important emails before Office 365 OST to PST conversion. Office 365, Hotmail & Microsoft Exchange OST to Outlook PST Converter works as a multi purpose tool and saves migrated data into 3 more reliable formats like: PST, EML, and MSG. These functions help in moving email from Exchange, Office 365 & Hotmail OST file to PST or other email clients. In case if any one desires to transfer a few filtered items instead of the whole OST file, then this feature of the tool will come as a great help. The tool allows selecting / deselecting the required mail items in a single click. In Exchange Server a user can recover emails from OST file after hard deletion within the retention period. Once the retention period gets over then those lost items can be recovered using this OST file Migration solution. The application preserves entire email header information like: to, from, cc, bcc, appointments and email attachments during the extraction. So convert OST file to PST in the actual email formatting as previous. Using this specific function of Exchange OST to Outlook PST conversion utility a user can divide or split resulting PST file in a required size. The migrate Office 365 OST to PST utility allows splitting PST file by size (1 to 100 GB) during the extraction process. Thus, creating several PSTs from an OST file. You can apply the date wise filter on Lotus Notes calendars to export calendars within a specific date range. The OST file to PST converter software will exclude the calendars 'of' selected dates and transfer them to an Outlook PST format. Microsoft Outlook installation is required to move deleted emails from an OST file through conversion method. The software supports all latest and older editions of MS Outlook including the latest version of Microsoft Outlook 2013. Everyone wants to export offline Exchange OST to Outlook PST in there actual folder structure. So the tool automatically maintains the same folder mapping and retains sequence in the output as previous; including all folders, sub-folders, and custom folders. Why Users prefer MS Outlook & Exchange Server? Nowadays e-mailing has become an easy tactic to communicate with a particular person. A lot of online email service providers offer free emailing package yet a professional user prefers a desktop email client (MS Outlook) to keep a backup copy of their email data that also offers offline and smooth mailing facilities. Whereas, the Exchange server is preferred by professionals for data centralization and security purpose. Because the Exchange Server allows e-mailing within server criteria or a particular network. Why Users Need to Export Exchange to PST? It is compulsory to know that in what major situation does a user require moving their mailboxes from the Exchange database to Outlook PST format. There are several reasons due to which the users start wondering how to convert .edb file to .pst format. The administrator requires few emails for investigation purpose and at that time EDB to PST conversion emerges as a great help. If Exchange server gets corrupted or the connection breaks down that time the users can extract email from EDB file to PST format to access them with MS Outlook without depending on the Exchange server. Temporary email deletion is easily resolved, but what isn't, is the hard deletion case of emails which makes the user look for a tool to retrieve permanently deleted items. An employee has been shifted to another location and there is a need to access same emails from that new location, then moving emails from Exchange to PST allows him to access emails individually. EDB to PST Converter is an easy to use application that allows conversion of Exchange database file to Outlook PST format. The software suits best to your needs and supports flexible conversion with an option to split a large output Outlook data file to more than one PST. Free EDB to PST Converter scans EDB files, preview all folders and export first 25 emails per folder. Step 1: Click on Add File option to load file that you want to convert. Step 2: Now select both files (if applicable) >> Click Add File button. Step 3: The software scans and show file name, size and created on data during scan process. Step 4: The tool previews entire mailboxes and emails >> Now select desired folders and click on the Export button to start the conversion process. EDB Converter Tool Replies All Doubts & Queries! How many EDB Files can I add at once to the tool for conversion? At a time, the software can scan one EDB file only. Once the added file is scanned, another EDB file can be imported to tool. So, for EDB to Outlook PST conversion, multiple files can be selected at single running instance of the tool. Do I need to install MS Outlook on machine for EDB to PST conversion? Yes, one of the requisites to the run the tool is Outlook® configured with POP3 or IMAP profile. In its absence, the software will revert back with an error that restricts further processing. I have a copy of EDB file. Will the software perform conversion? Yes, EDB file in any state can be added to the tool. A copy of EDB file, or the EDB with database in dirty shutdown, or a corrupt/offline EDB can be processed against the tool. Can I save public folders into PST file with the tool? Yes, the software works for pub.edb and priv.edb files. 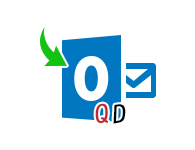 Thus, it is capable of exporting public folders data into Outlook PST file. I only want emails to be migrated to PST. Does the software provide mail filter? The software gives facility to select folders from the EDB mailboxes. So, if only the emails are to be exported, the check boxes for mail folders can be enabled. This way the emails can be filtered and migrated from EDB to Outlook PST file. This tool helps us to migrate mailboxes of a database into PST file. The facility convert Exchange to Outlook PST saves a lot of time and with very less efforts, successful conversion is promised by the tool which is definitely appreciating. EDB Converter performs seamlessly. The best part about the tool is its ability to move data from both pub.edb and priv.edb file to PST. I use this masterpiece for Exchange 2013 database and absolutely satisfied with its performance. EDB to PST converter executes dual tasks for me; recovery as well as conversion. The software's ability to extract mailboxes into PST file without Exchange environment is amazing and is helpful too in scenarios when migration has to be done without Exchange Server.